An image of the Notre Dame from 1800. The spire was not added until the 19th century. Monday's fire that ravaged Paris' Notre Dame Cathedral, bringing down its spire and roof, struck during Holy Week. But even outside this key period in the Roman Catholic calendar, the cathedral draws visitors all year, some 12 million of them. It is the most famous of the French Gothic cathedrals of the Middle Ages and is distinguished by its size, antiquity and architectural interest. Left: The central portal of Notre Dame Cathedral in Paris, depicting six of the apostles. 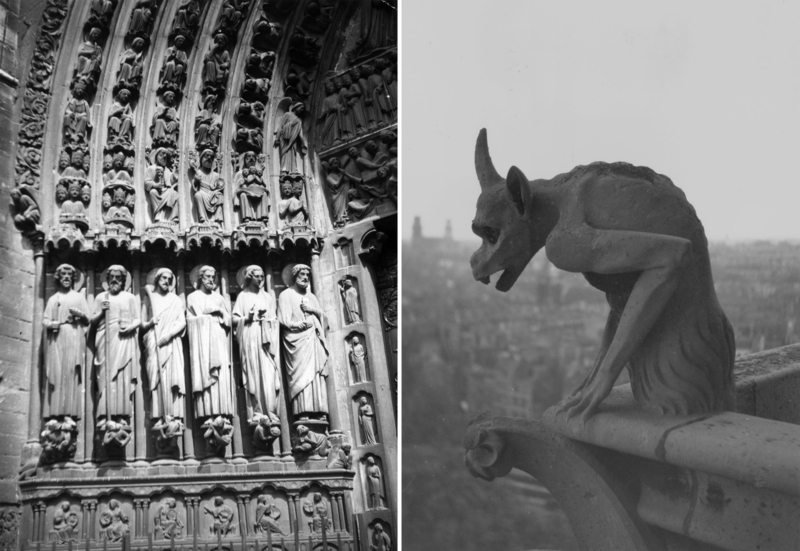 Right: A Gargoyle on the cathedral in 1930. At the cathedral's east end, the apse is supported by single-arch flying buttresses of the more daring Rayonnant Gothic style, especially notable for their boldness and grace. 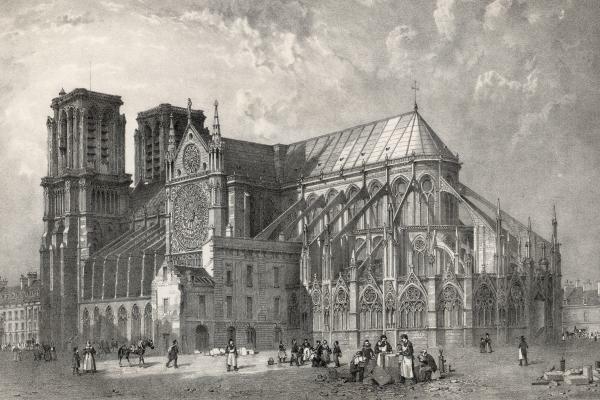 "Our Lady of Paris" also features pointed arches, a ribbed vault, two 225-feet-tall towers on the facade, and large, intricate rose windows made of stained glass. 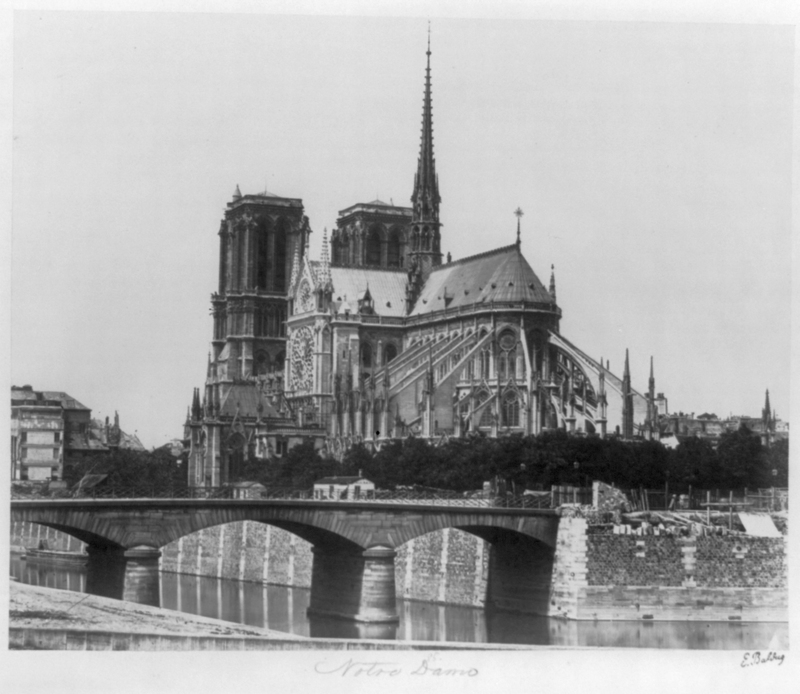 A picture of Notre-Dame Cathedral by Edouard Baldus in 1951. The cathedral is central to French history and a beloved national symbol. Notre Dame's construction began in 1163 during the reign of King Louis VII and completed in 1345. Nearly 100 years later, in 1431, Henry VI of England was crowned as the King of France there. By the 17th century, the cathedral was in disrepair. But Napoleon saved it from demolition and had himself crowned Emperor there in 1804. The cathedral is celebrated in Victor Hugo's novel The Hunchback of Notre-Dame published in 1831. 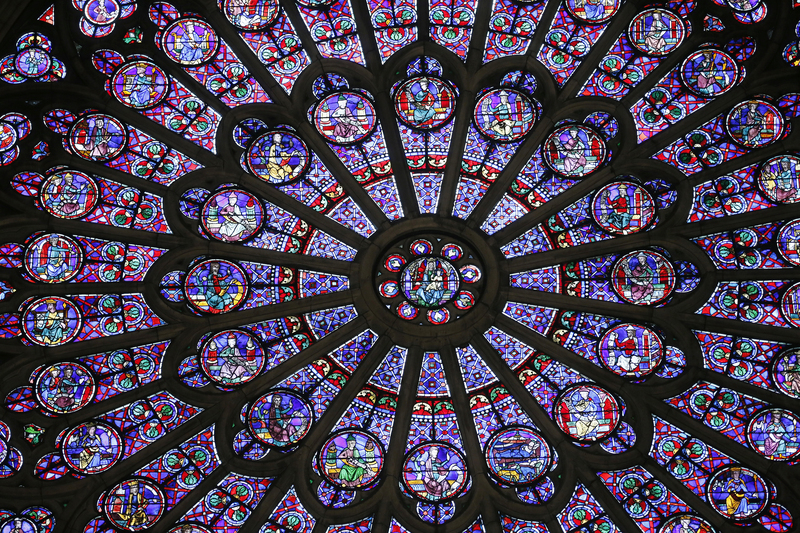 The North Rose Window survived two world wars. During WWII, the stained glass was removed and installed again after the war had ended. A view of the medieval stained glass rose window on the north side of the cathedral. The 17th century organ was functional, at least before the fire and roof collapse. 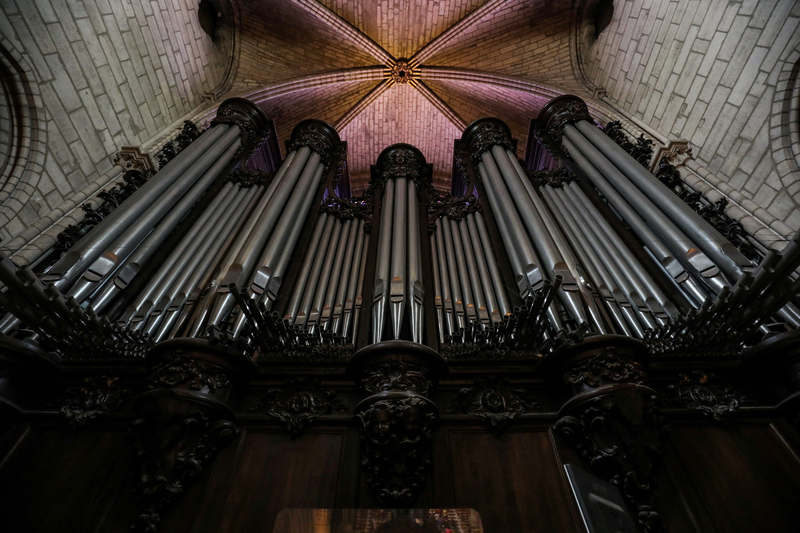 The organ at Notre Dame de Paris Cathedral in Paris. President Emmanuel Macron pledged to rebuild Notre Dame Cathedral. "This history is ours," Macron said. "It is burning. I say to you very solemnly tonight, this cathedral, we will rebuild it."